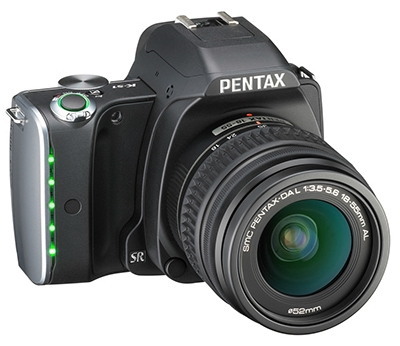 The K-S1 features a design concept which is quite different from that of any other Pentax DSLR. 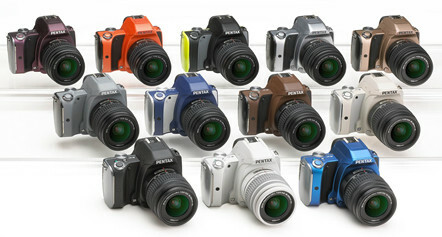 When introduced in 2014, the camera was promoted with the slogan “Hold ligt in your hands.” This refers to the camera being especially compact and lightweight (“fitting into the palm of the hand”), as well as to the camera’s LED body illumination whose purpose is to display the camera status: The main switch is illuminated in green for still images, and red for movies. 5 LEDs in a line integrated into the grip display face detection, remote control, and the self-timer countdown. 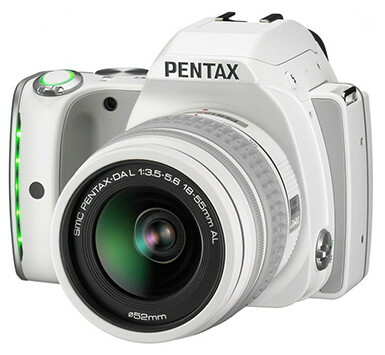 For the mode dial, which is for the first time placed on the back of the camera, the currently set mode appears in green, and the OK button is lit in blue, when shutter release is available. Some questioned the sense of this illumination concept, however, the illumination can be switched off partially or altogether. 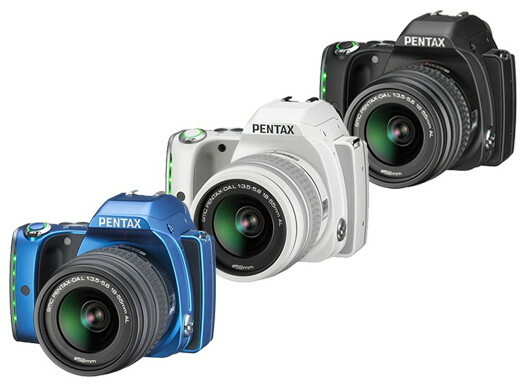 While the K-S1 features no front wheel, no weather sealings and uses more plastic parts than other Pentax DSLRs, it inherited some higher-class features from the K-3, namely the 95% magnification, 100% coverage pentaprism viewfinder, and an AA-filter-free design maximizing the resolution from the 20 MP CMOS image sensor. Like the K-3, the K-S1 is also equipped with AA (anti-aliasing) filter simulator function which reduces moiré thanks to tiny movements of the sensor. 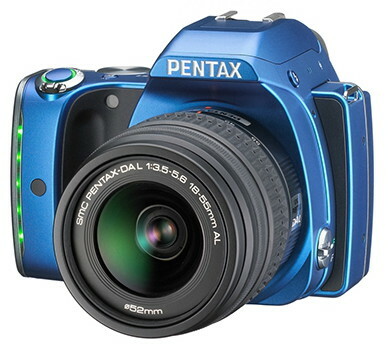 The K-S1 is compatible with the 16 GB O-FC1 flucard for Pentax, making it possible to check the Live View image, shoot remotely, and view images from a smartphone or tablet. Also, Eye-Fi cards can be used for transferring and viewing images wirelessly. Further, the K-S1 is compatible with the optional O-GPS1 clip-on GPS unit for recording location information, or for using the SR unit to track celestial bodies (Astrotracer).